They were the best of covers and the worst of covers……OK I am biased but comparing the US and UK back covers of Liza Marklund’s new thriller Lifetime I not surprisingly came to the conclusion that the US version is far superior. A nice photo of Liza and blurbs from experts. 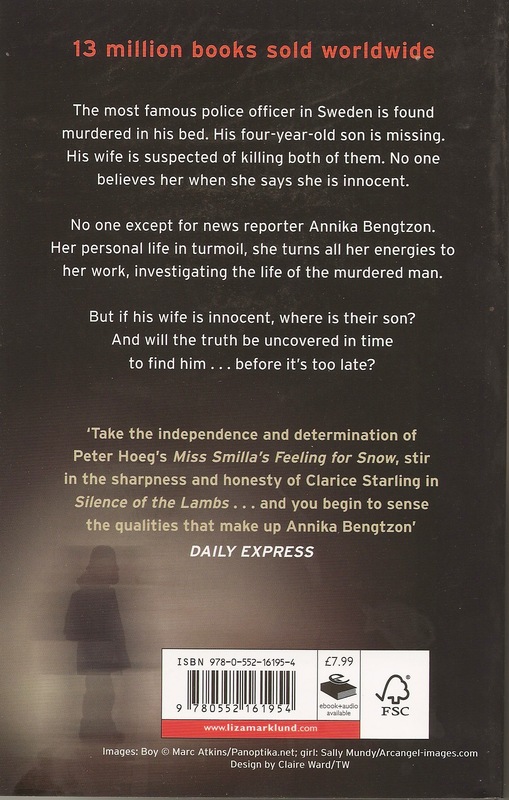 The UK version has a blurb from the Daily Express comparing Annika Bengtzon with Peter Hoeg’s Smilla’s Feeling for Snow 1992, and Clarice Starling in the Thomas Harris novel The Silence of the Lambs 1988. It has been a very long time since I read those books, they are over twenty years old, and I agree they do have determined female protagonists, but otherwise the Annika Bengtzon books are very different. Norman – I couldn’t agree more with you. At all. Agree with your sentiments. Annika Bengtzon is nothing like the protagonist in Smilla’s Sense of Snow. Annika is a unique character, one not found in other crime fiction, which I have read anyway. Clarice Starling, no resemblance as far as I’m concerned. Do those writers at the Daily Express actually read the books they are referencing? Or is it all about publicity and saying what will bring in sales? 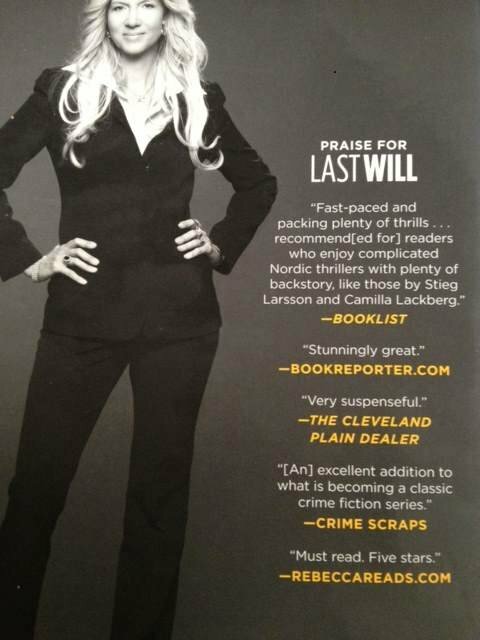 Like comparing all Nordic mystery writers to Stieg Larsson? You are probably right Kathy, and I expect those reviewers think that their readers have only heard of the better known books such as Smilla’s Sense of Snow, and Silence of the Lambs. Thanks I shall have a look at the Brunetti.